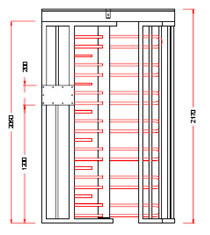 Gate Automation Systems full height turnstiles offer high operating reliability, which are designed for use in high volume areas such as, Industrial Plants, Sports Stadiums and Military Installations. 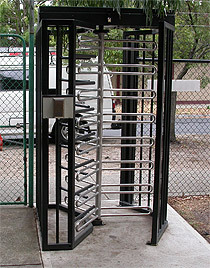 The turnstile is free standing and is installed by bolting to the floor and all electrical cabling is concealed within the frame. 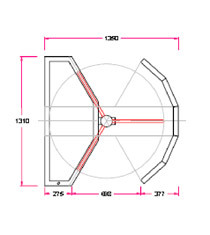 The design of the mechanism is such that it automatically adjusts for wear so regular adjustments are not necessary. Opening & Closing Speed from 200mm upto 950mm per second. 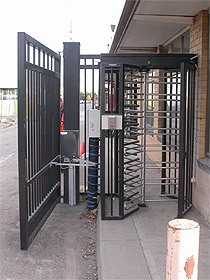 All essential safety devices connected to gate operator. Control with purpose-built control board, or optional PLC board (Programmable Logic Control). Flashing light to notify operation. Set as Fail-Safe or Fail-Secure. 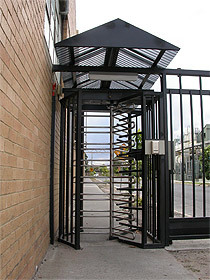 Gate Automation Systems takes pride in training its staff to assist you in the decision making and advising of the correct turnstile requirements & design parameters for your site along with the safety devices required for your specific application, along with the professional installation of the systems purchased.